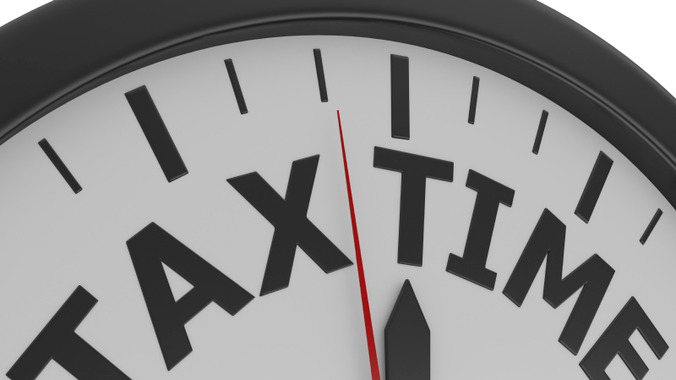 Limited company contractors who have adopted a strategy of declaring dividends prior to April 2016 but who have not yet paid them out can still attract the dividend tax rates for tax year 2015/16, providing they can provide sufficient evidence to prove it was declared and payable before 6 April 2016. This is according to Duncan Strike of specialist contractor accountancy firm Intouch, who warns contractors against backdating dividends that can easily be proven wrong. Whilst it is quite commonplace for directors of contracting companies to declare a dividend and leave the money within the company, Strike points out that there are no benefits to doing so unless you intend to allow the company to invest those funds. "It's more of a disadvantage because you're leaving your personal money in the hands of the company," Strike adds. "Therefore it is as at risk to commercial issues as any other company money would be." As such, contractors who have unpaid dividends that were declared prior to the turn of the tax year can legitimately claim them without incurring the higher dividend tax rates that came into effect on 6 April 2016. However, Strike adds that, unless the contractor has all of their paperwork in order, there is always the risk that the taxman will take an alternate view. Some contractors might be tempted to backdate dividend paperwork in order to avoid the recently implemented dividend tax hikes. However, Strike strongly advises against this as it is wrong and would result in fines and additional attention from HMRC if it were discovered. Strike explains that HMRC will view the date upon which the transaction is entered into the company records as evidence to support the date that the dividend is declared. For contractors using an online accounting system which logs the dates that transactions are entered, a quick skim of the company transactions will provide HMRC with sufficient evidence to determine that the dividend is backdated. What are the repercussions of backdating a dividend? As a result, contractors could face penalties and interest for the late payment of any taxes that have arisen. Whilst contractors are very unlikely to face prosecution, Strike warns that they will lose a lot of credibility in the eyes of HMRC. Instead, contractors shouldn’t even encounter the need to attempt to backdate dividends. Strike encourages contractors to plan their financial affairs at the beginning of each tax year to allow them to consider the level of dividends required and the tax liabilities that will arise. This should include consideration of what they are going to need to take from the company, whether they will be within IR35 and what the salary/dividend split will be if they are outside IR35. Towards the end of the tax year, the contractor should reassess their tax position and decide whether or not to draw any further dividends. Contractors should consult with their accountants who should be alert to any additional sums within the contractor company, and possible savings their clients can make by timing their dividends. If they failed to do this prior to 6 April, they may have cost themselves a few thousand pounds in extra tax. Illegal dividends explained – what are they?